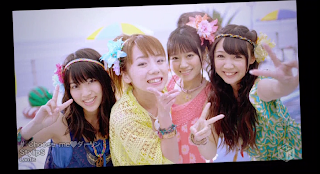 All thoughts and opinions on this group, their single and/or their PV are entirely my own and no one else's! If you don't like my opinion, and you get offended by it, then you don't have to read this blog. If you don't care, then wheee~ My opinions don't have to reflect yours at all, by the way! I guess I'm a little late on the StylipS bandwagon where the PV's concerned, though do I really care? Not really, because I knew that I would either A) Get around to writing up a PV review eventually, or B) Never write a review but still enjoy this PV to the max, because I'm like that y'know? Anyway, I've known about the PV for a while, and have in fact been watching it a lot. 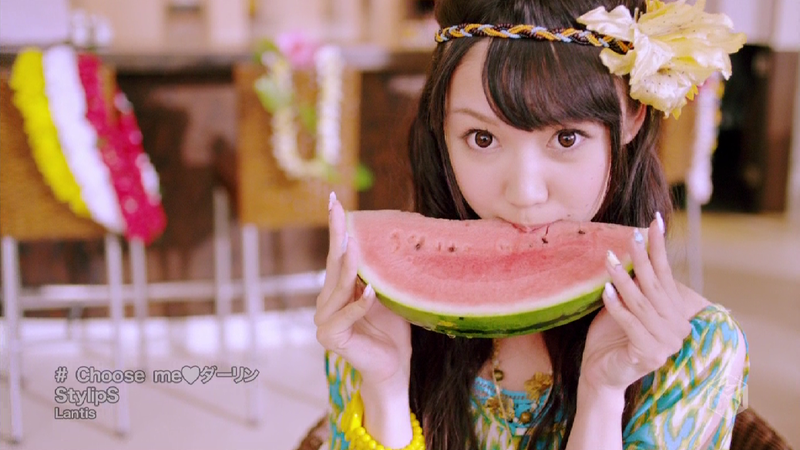 It's definitely one of my most watched PV's from the last half of August, because that's when it decided to come out. 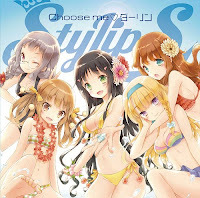 New from StylipS, we have another anime-related release, this time for some harem based anime where a boy has to choose a bride out of a few girls from his school, whilst trying to avoid falling in love and possibly marrying his sister. 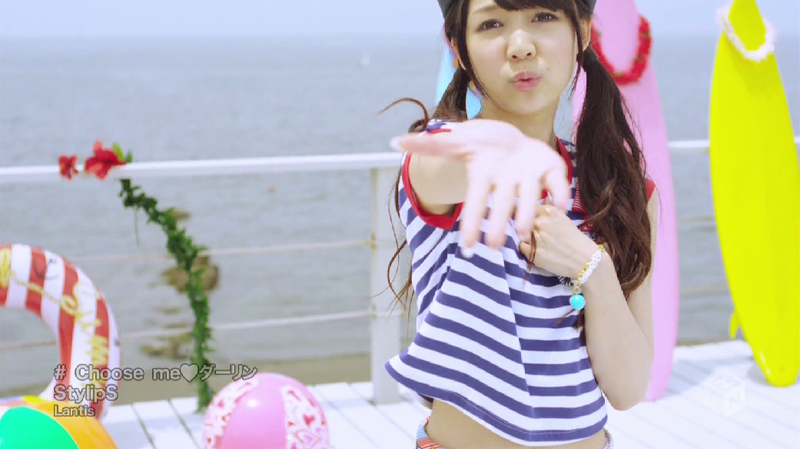 The anime concept explains the title of the song, if anything, which is the cute Choose me♡Darling. 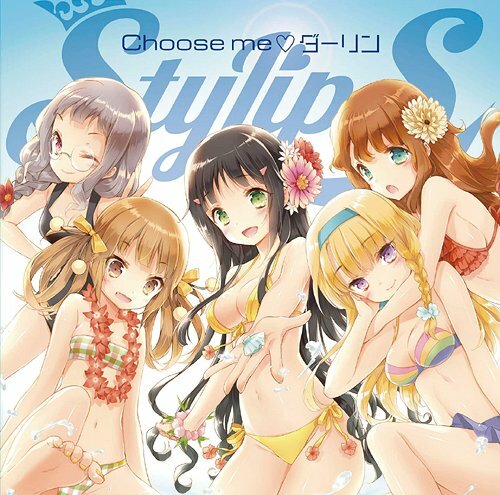 This is StyipS' third single overall. So, before I get into the review itself, I have already taken a look at the single when it came out, and I really like this song. I had waited patiently for the full MP3 to come out, as well as the PV itself, though it took a while. Well, it was worth the wait, because StylipS seem to keep delivering quality goods to my doorstep. I don't think I could ask for more, really. 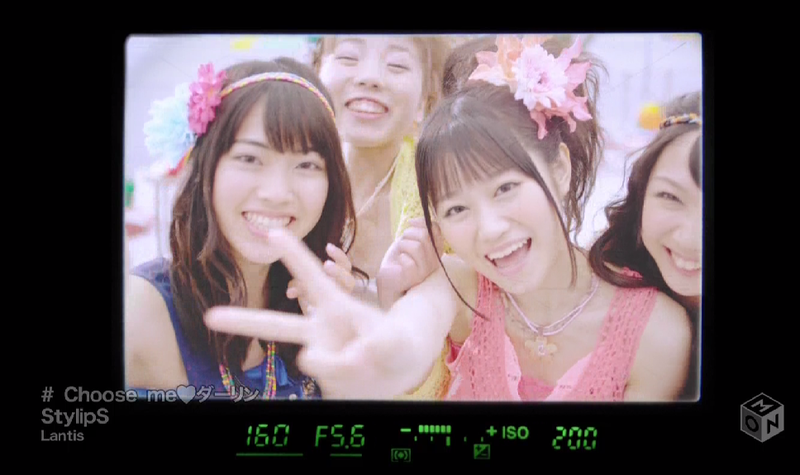 Each single has been pretty darned good since these girls were put together as a unit! 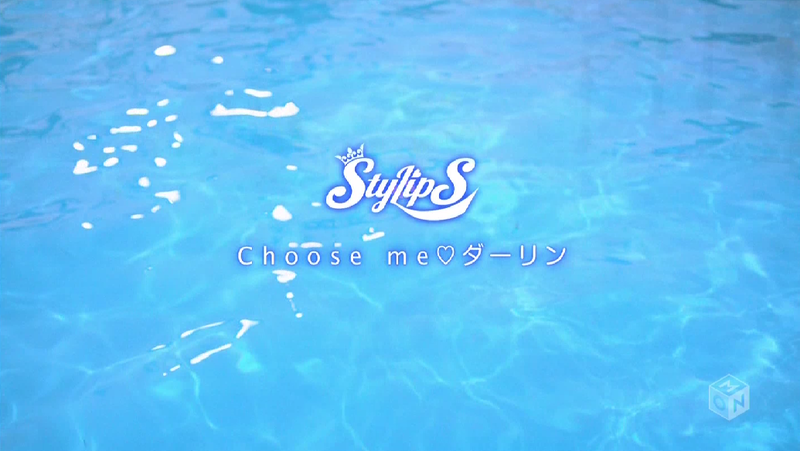 Anyway, let's dive into this PV, and let's Choose our Darlings!!! I'll tell you now, I've already chosen my Darling, title screen. It's Maho, got it? Firstly: Kaori is a beauty, and secondly: Just check out that cute little duck-face Maho is pulling. 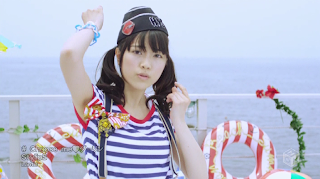 She could totally take on Itano Tomomi for Duck-Face Queen! I'm digging these camera angles. 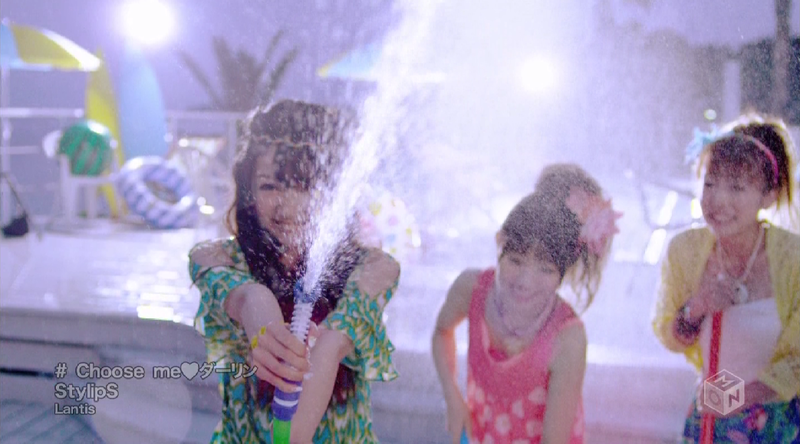 Good job, Editor-san/Camera-man-san! Again: Loving the camera angles/movement here. Also, location is key! Glad to see that StyleCube gives StylipS the budget they need! Bug-chan: "If I pretend to be a gerbil and puff out my cheeks, will you kiss me?" But I thought you were a bug!? 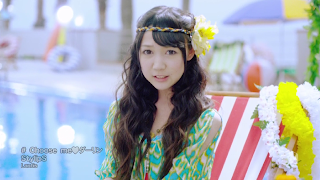 Maho with Hippy-hair is actually really cute and refreshing for summer! She looks effortlessly gorgeous! 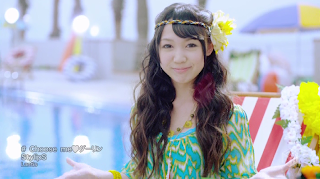 Even the Soulless one looks cute in this, though her eyes are still as dead as Kikkawa Yuu's are. Kaori is waiting for someone to kiss her! Quick, choose her as your Darling and kiss those innocent lips!!! Okay, I like this edit a lot. It's cute... until you see the LOL face Noto has in the background. YEAH!!! 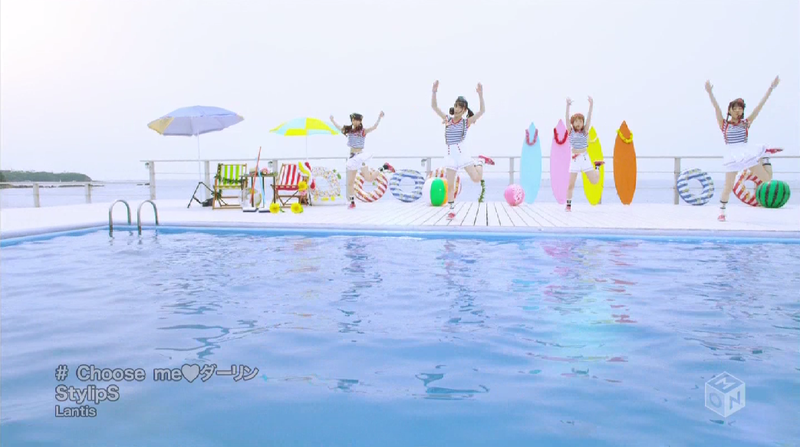 Jump, girls!!! Jump and swim for your liiiiives!!! Ahhhh, too cute! Is it getting harder for you guys to choose your Darling? I'm still set on Maho. Ahhh, cheeky! Don't stick your tongue out at me after eating that pineapple... thing. Ah, that's what you get for teasing me with ice cream! Now your nose is all cold! 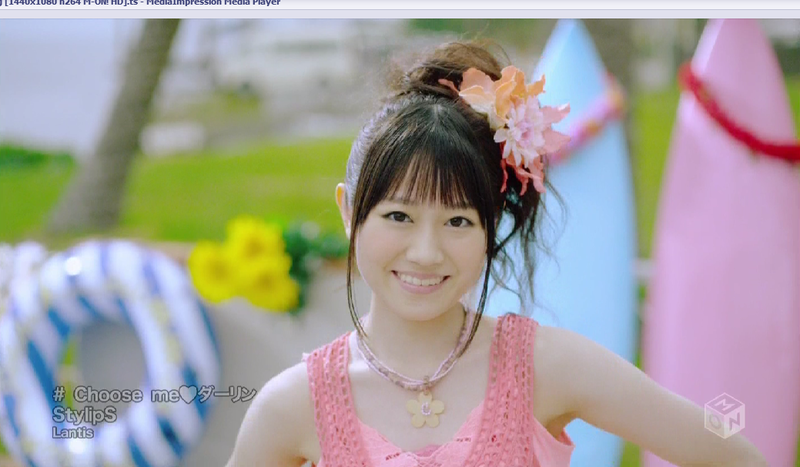 Pigtails + Yui = Acceptable and beyond adorable in Chiima's eyes. Ahhh, no Maho! Don't get me wet! Noooooo! Kaori: "Why won' you choose me? I thought you liked me...?" Maho: "Will you hold me?" Oh, you want to hold my hand? 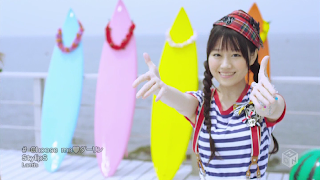 Okay Maho, let's hold hands! Maho: "No... hold me to your heart, and choose me, Darling." I thought that I had already chosen you? Bug-chan: "But won't you choose me? I am funnier than Maho is!" But Maho is sexier! You look too much like a bug, Noto, though admittedly you are freakin' hilarious in the Making of. ... And it isn't even my birthday until Friday x3 Nice surprise, guys! So, guess what? 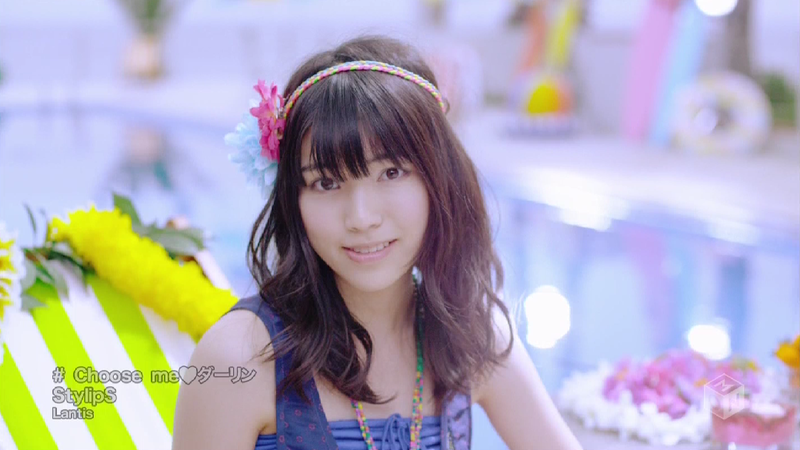 I freakin' like/love this PV and the song together, it's a match made in Heaven I guess. There was some thought put into the concept, and I love how summery and refreshing the PV looks and feels. The girls look great, they all sound pretty good and the carefree nature of the video reflects the song well and gives us something entertaining and cute to watch. So it's all in all a nicely wrapped package with an equally nice gift inside. 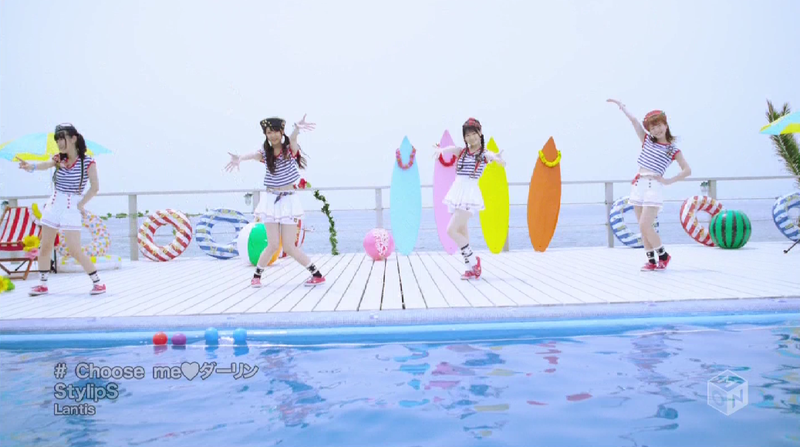 The video is so cute, I don't even know where to begin, so I'll just start with the dance shot. This is one helluva cute dance. I love the choreography used, it's energetic and fits thepace of the song and doesn't get boring, either. 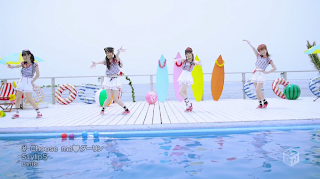 There are quite a few moves which just make me think that this dance is so adorable, and I actually don't mean just the dance scenes we see in the PV, because I actually mean the entire dance shot. There is one part which isn't shown in the official music video where the girls grab brooms and start to dance with them, as if the girls just stepped out of Mary Poppins and paying homage to the amazing song and dance number Step in Time. 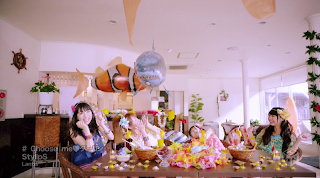 It's a pretty random scene, but it really fits the dance and just adds cuteness to the video. 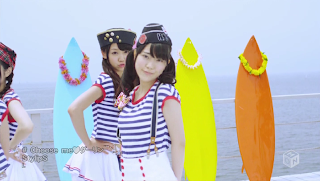 Also... the costumes for the dance style are really cute. 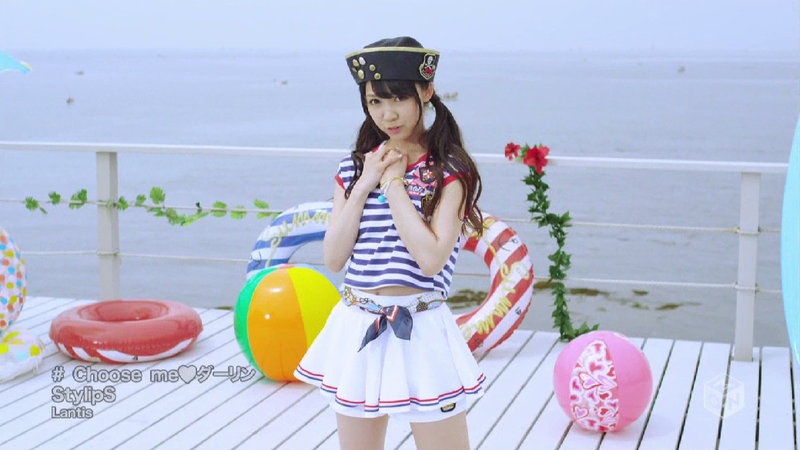 I don't think that anything could scream 'Summer' better than Sailor-styled costumes! 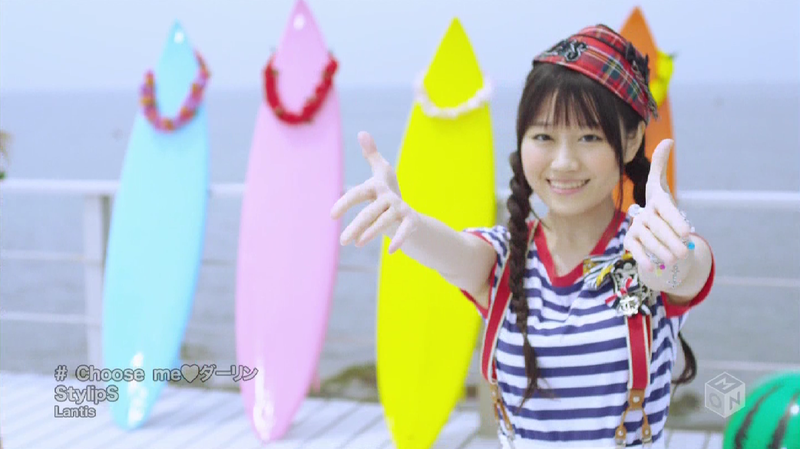 It's cute and innocent, which is really nice for a PV. Of course the other shots in this PV are just as cute! I enjoyed the scenes where the girls stood on their own, flirting with the camera as if they were on a date with their boyfriends and offering their other half food or sweets before teasingly stealing them away and eating it for themselves. 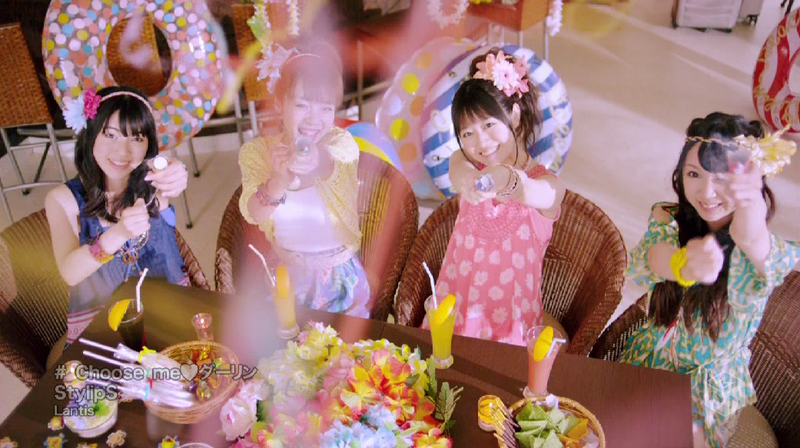 These scenes actually reminded me of Afilia Saga East's La*La*La Revlotion and the date-style format it had, though StylipS' version has fewer girls and a little more innocence to it, though both PV's are equally good. 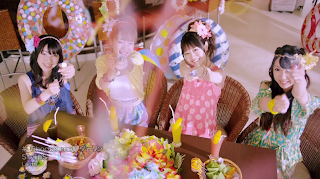 I thought that these scenes added a nice atmosphere to the video, showing us the cute, cheeky or even shy sides to the girls whilst also allowing us, as the viewers, to choose which sort of character we liked the most: The cute, cheeky character, the shy character, the quirky, fun-loving character or the easily excited and happy character. I find that it was a nice little format to throw in the PV, giving us a little bit extra to make up for the non-existent plot. 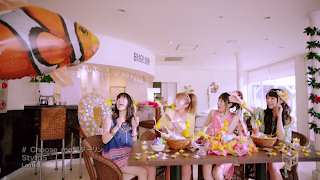 I find that there is a lot to like about this PV, from the cute costumes used to the use of a dating experience with the girls we like. Whatever it is, the PV is quite charming. 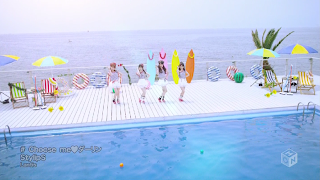 The girls are fun to watch, the dance is cute and energetic, and the song itself is just wonderful to listen to. 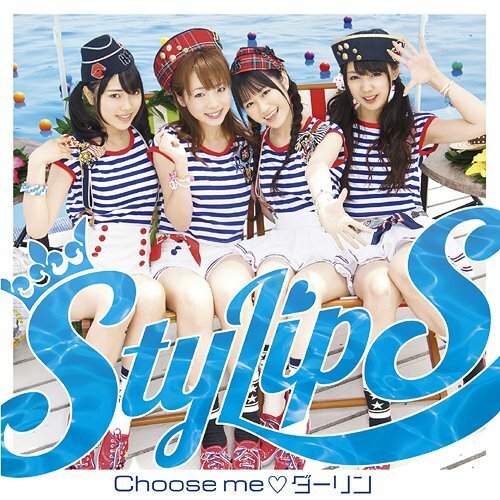 StylipS have yet to actually bring a disappointing song to the plate, but I really hope that these girls continue to go in the direction they are going in at the minute, because their videos and songs are fun and a joy to watch. Overall, I feel that Choose me♡Darling is a good song and a good video, both perfect for the summer. 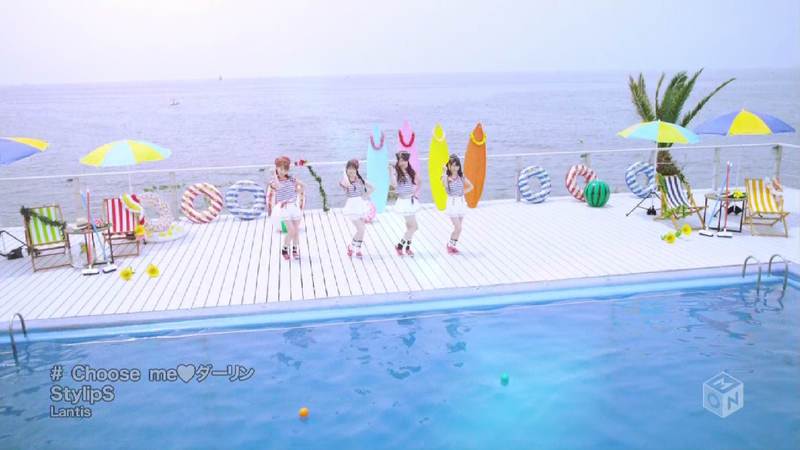 The bright location, the pool and the outfits all fit the theme of summer, and the scenes rnging from being on a date to the girls having a party together to eating watermelon make the video carefree, cosy and enjoyable. 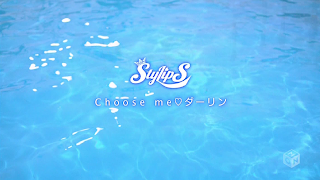 It's really cute, definitely a must-see video if you are a fan of summer themed videos or anime based songs, so give it a try and see how you like StylipS! I won't go as far to say this is their best song, but I do feel like this is one of their best PV's. It's refreshing for the summer, and it's just really fun to watch. Who will become your darling, then? Ahhh, thank you! The banner was made by Maik.a x3 SHE IS AMAZING! And I really wish I had a pool near me now, I love this song. Ah.... and I had ice cream. 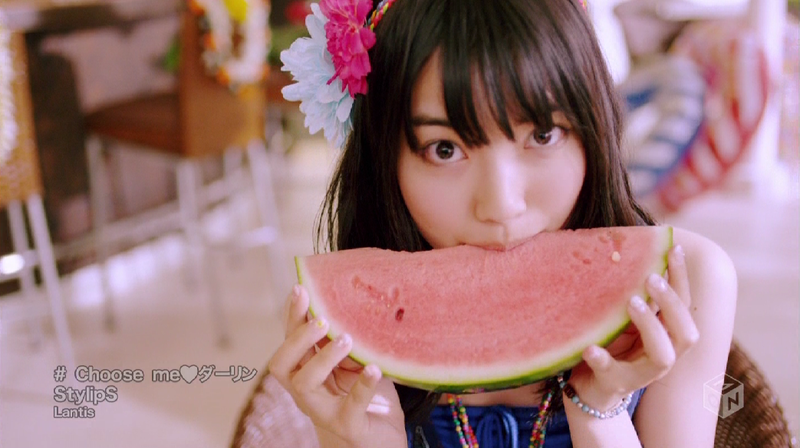 Lots of it XD It just puts you in the mood, and the cute bug that is Arisa! Also, I can't translate Japanese XD Google Translate is terrible, but it will have to do!